8smička in Humpolec aims at blurring out differences between the city centre and the outskirts. 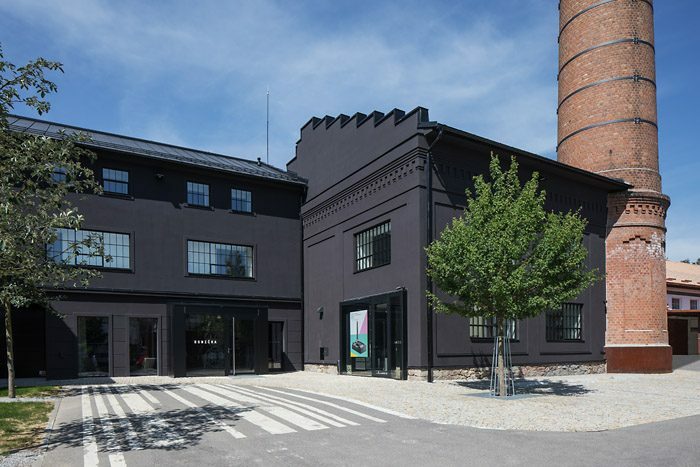 The industrial area located half way between Prague and Brno has undertaken a major transformation into a cultural venue which conveys a visitor’s encounter with contemporary art. The Art Zone 8smička has the ambition to create an impetus for creation of a local community in Humpolec, which would also be open to all visitors from the surrounding area and further. So, in Humpolec, the birth place of the artists Zorka and Jan Ságl, the author Jan Zábrana and the poet Ivan Magor Jirous, the floor for discussing art, architecture, design and community in public space has opened. Regular exhibition rotations will be accompanied by talks, theme evenings, guided tours, programmes for schools, family workshops and more. 8smička offers to loan work from its collection as well as it participates in exhibitions and art events in the whole of the Czech Republic. Zone 8smička is located in the building complex of a former drape factory which, from the end of the 19th century, specialised in manufacture of broadcloth. The drape factory owned by Karel Trnka became, just like other textile factories of Humpolec, a part of the national enterprise Sukno (meaning broadcloth) in 1948. Since then, the particular factories of the enterprise stopped being referred to by the names of their renowned former owners; instead they were given numbers, from 01 up to 18. That is where this building got its name – No 08 – from. The factory was used as the weaving shed of the wool enterprise until 1989. The derelict building complex has been revitalised in 1995 and then later in 2010. 8smička opened in 18 April 2018 at 6pm.